“Dancing With the Stars” Season 24 kicked off its two-night finale on Monday, as former Chicago Cubs catcher David Ross, NFL free agent Rashad Jennings and Fifth Harmony singer Normani Kordei competed for the Mirror Ball. And it’s safe to say that the competition has never been hotter! For their final round of dances before Tuesday’s results show, the contestants all brought their A game — with some getting better results that the others. World Series champion Ross was the first contestant to perform in the Redemption Dance round, with judge Len Goodman calling him a “true Cinderella story,” even thought his Viennese Waltz lacked finesse … and booty tucking. “Your light has transcended these cameras through TV screens to people all over the world,” she said. Yep, that earned him a perfect score. Jennings finished the night at the top of the leaderboard, with Ross at the bottom and Kordei sandwiched between the guys. Host Tom Bergeron ended Monday’s show on a serious note, sending sympathy to the victims of the bomb attack at Ariana Grande’s Manchester, U.K., concert. “We want to send our thoughts and prayers to those affected by the explosion,” he said. 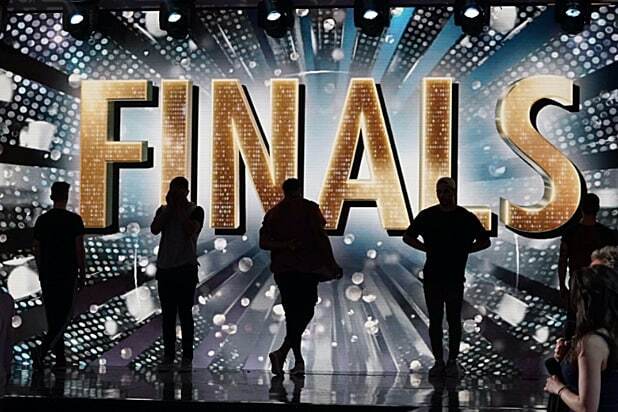 Tune in tomorrow to see who is crowned the Season 24 winner. “Dancing With the Stars” Season 24 concludes Tuesday at 8:30 p.m. on ABC.